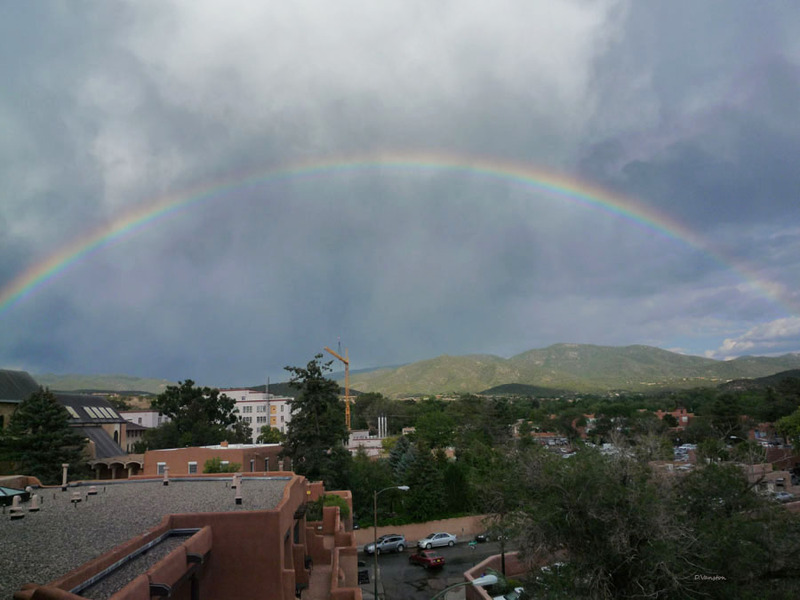 Santa Fe welcomed us with a beautiful August rainbow. 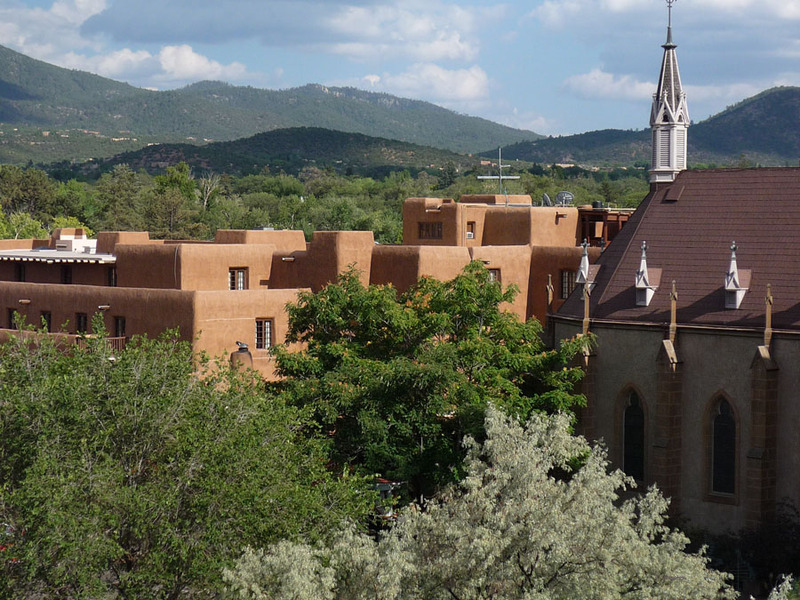 Another balcony view with the Loretto Chapel and the Inn and Spa at Loretto in the foreground. 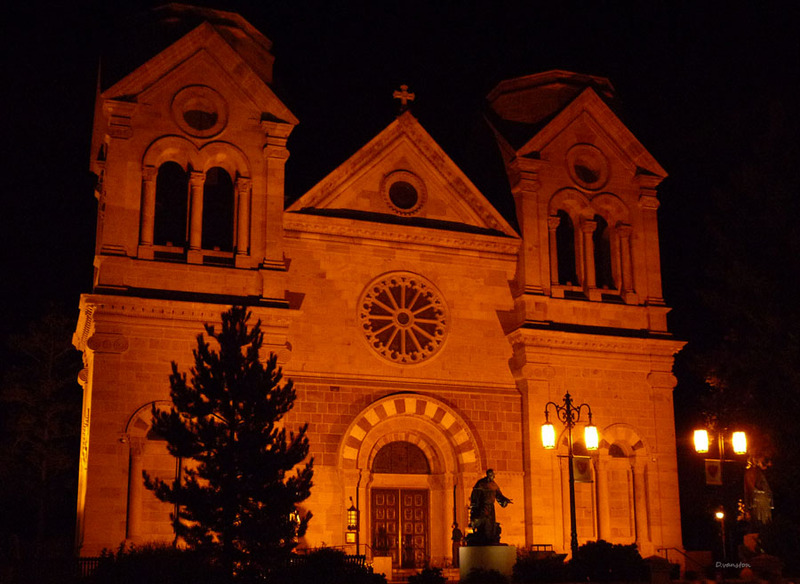 Originally a Roman Catholic Church named, Our Lady of Light Chapel, it’s now a popular wedding and tourist destination. 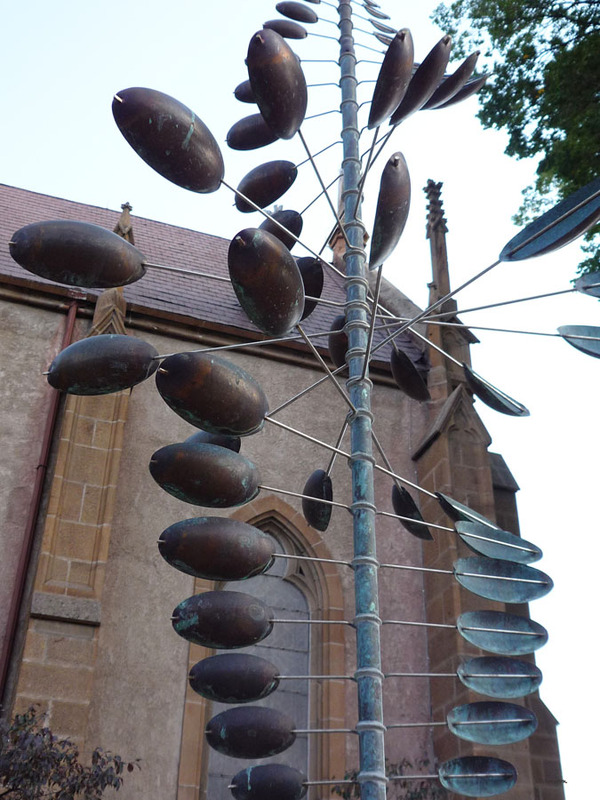 Visit http://www.lorettochapel.com/history.html to read about the Chapel’s interesting and mysterious history. 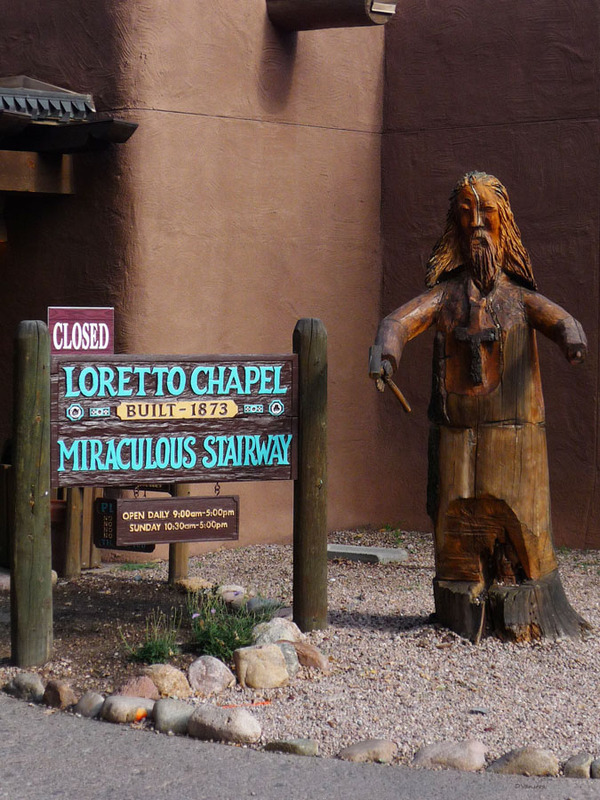 Unfortunately, Miraculous Stairway viewing closed during our visit. 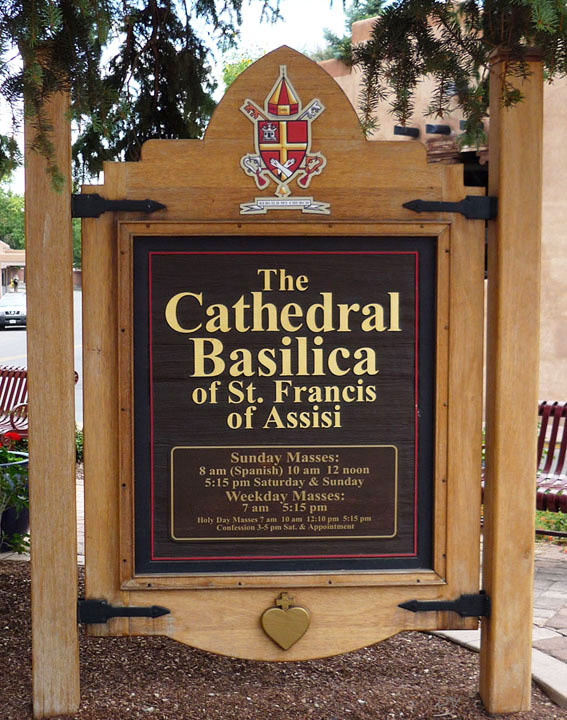 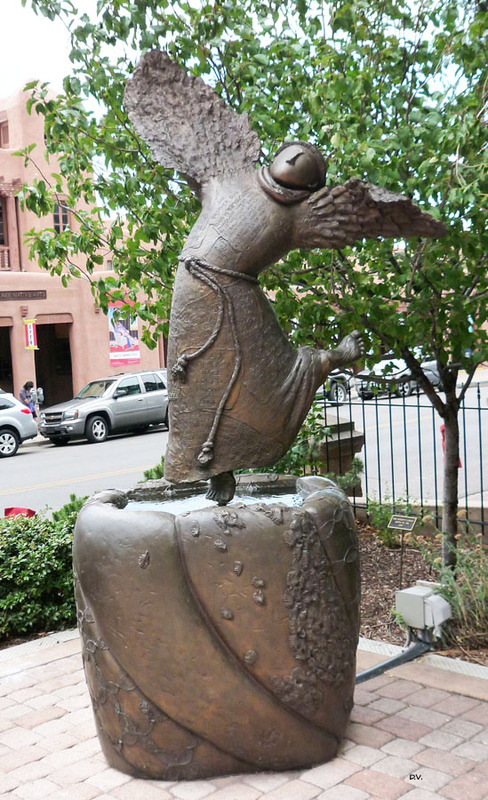 Another must visit church is the Cathedral Basilica of St. Francis of Assisi. 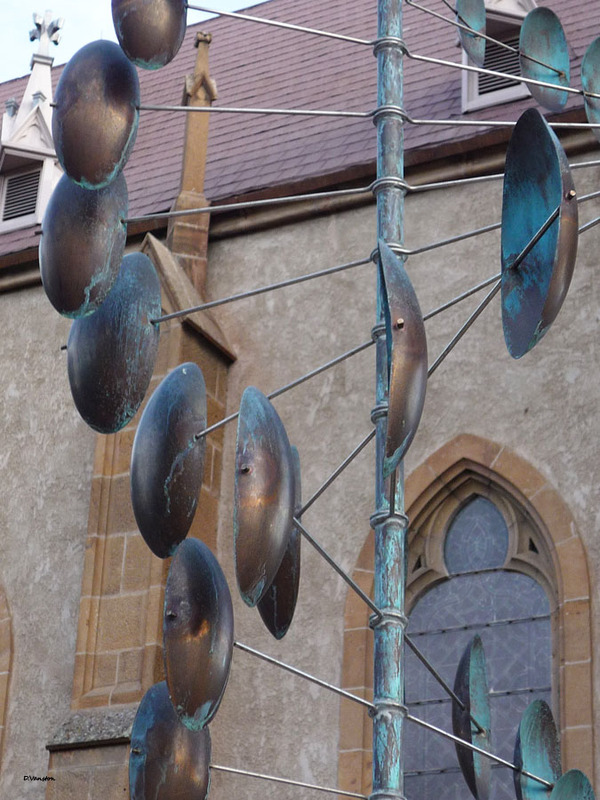 You’ll find both chapel and cathedral located within short walking distance fromeach other. 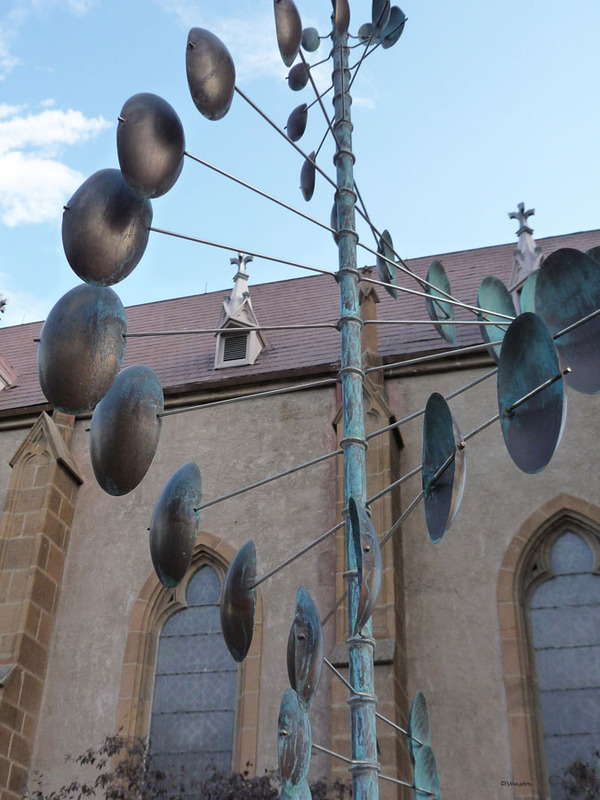 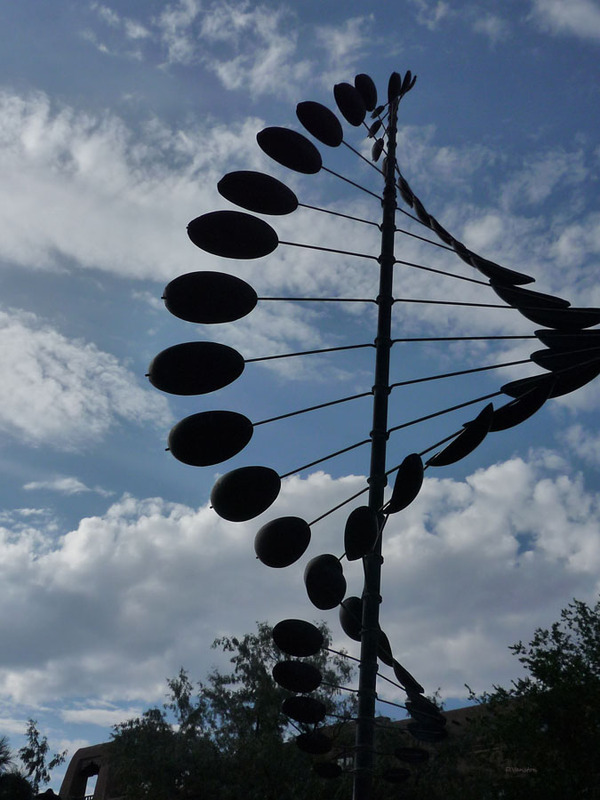 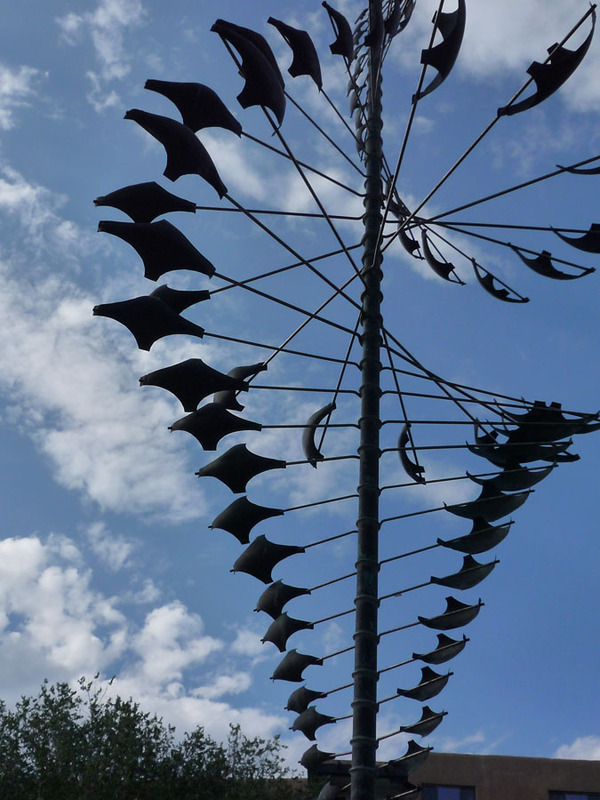 I loved listening to the musical chimes of bells ringing every 15 minutes, even if they were only electronic. 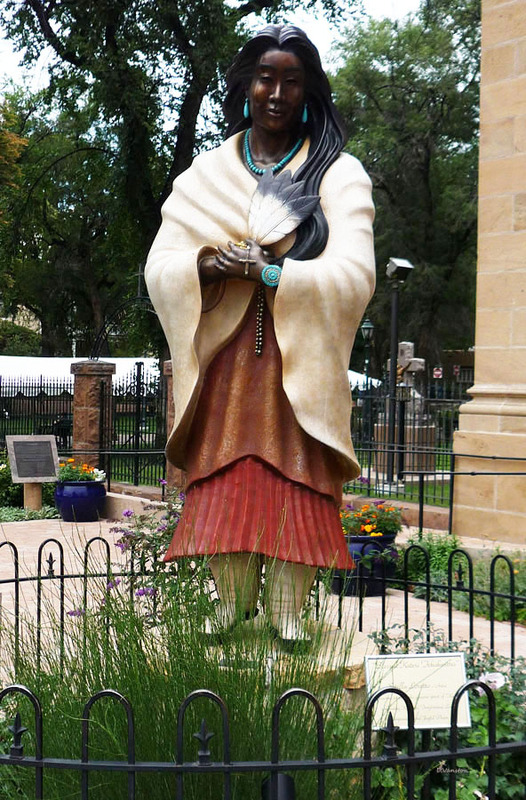 It’s also interesting to note that buildings in the downtown plaza area of Santa Fe cannot be taller than the church’s bell towers. 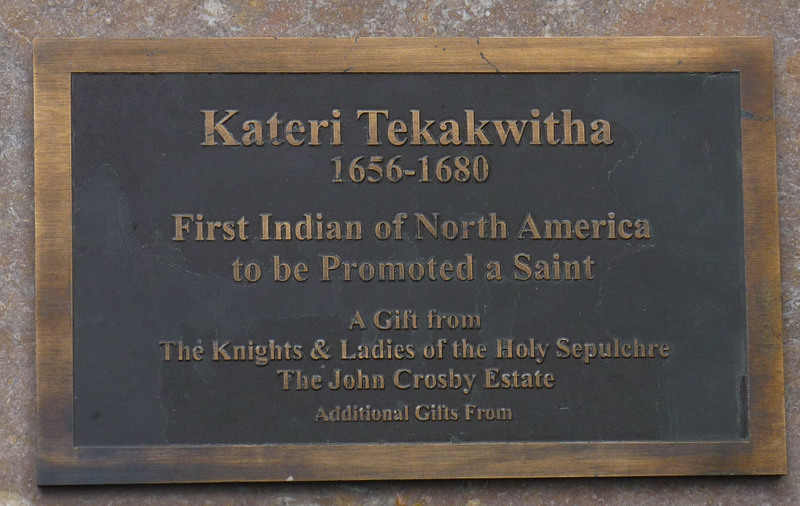 Kateri Tekakwitha “Lily of the Mohawks”, canonized a Saint on October 21, 2012. 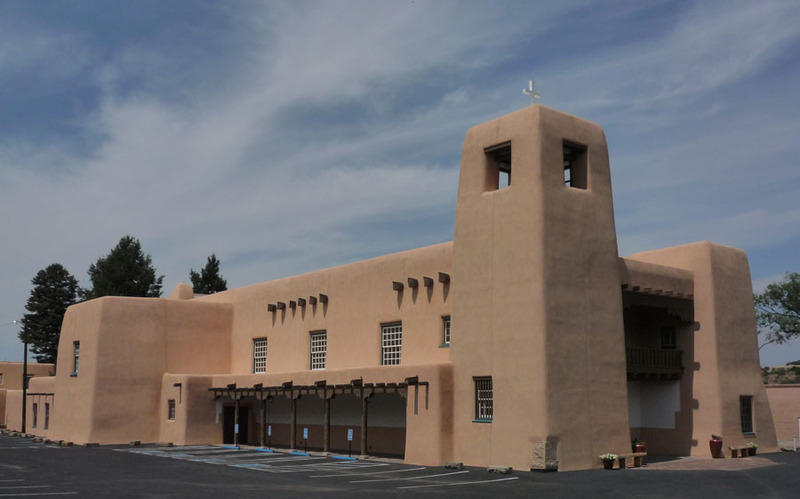 Cristo Rey Church, largest single adobe structure in the US, built in 1940. 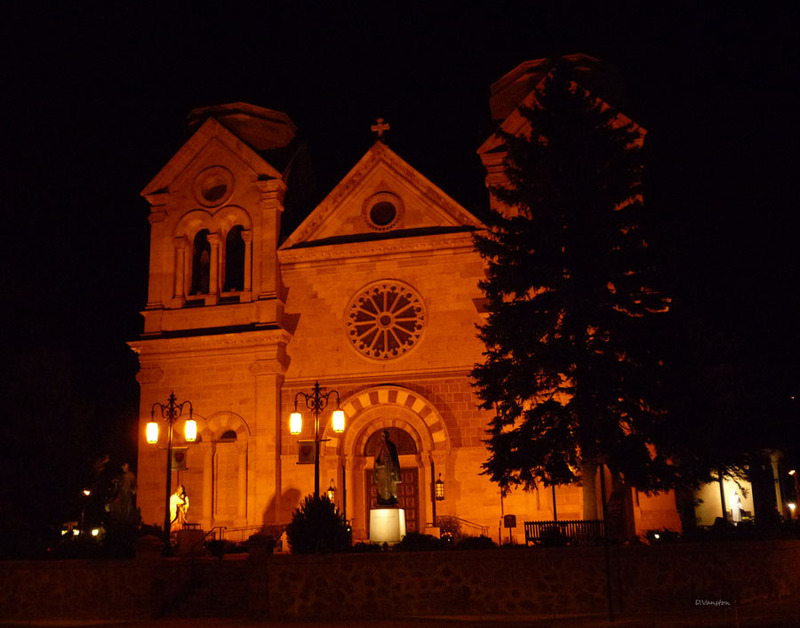 Other historic churches in Santa Fe include San Miguel Mission, the oldest known church in the country, and art and history museum El Santuario de Guadalupe.